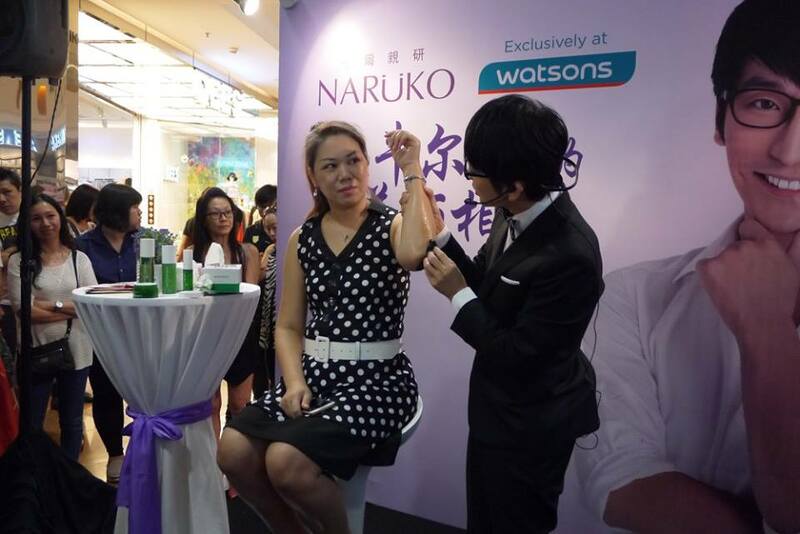 I had a fantastic weekend last week thanks to Watsons Malaysia and Naruko. 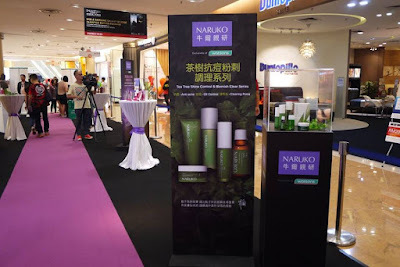 You know, prior to a beauty blogger, I always watched the Taiwan TV show to learn more about the latest skincare products and tips. From then, Pauline Lan Xinmei and NiuEr Lau Shi (A renowned Taiwanese beauty guru) have become my idols for their never ageing look. I wish to grow gracefully like them too, but too bad I have not had chance to meet them before. But hey, I finally met my idol NiuEr at Sunway last weekends. In fact, I hop over to Sunway area 2 days in a row just to meet NiuEr. He is a household name especially in his country, Taiwan where he is referred to as the ‘Beauty King’. Unlike many other beauty gurus I have met before, NiuEr was very down to earth and very friendly. He knows that as a normal person like us, we are not afford to many high ends brands hence he has shared the skincare tips of save and effective one. He also likes to share his personal stories with us. Not only that, he was proud to share his age with all of us. Look at his fair and nice skin, can you believe NiuEr is 49 year old this year? 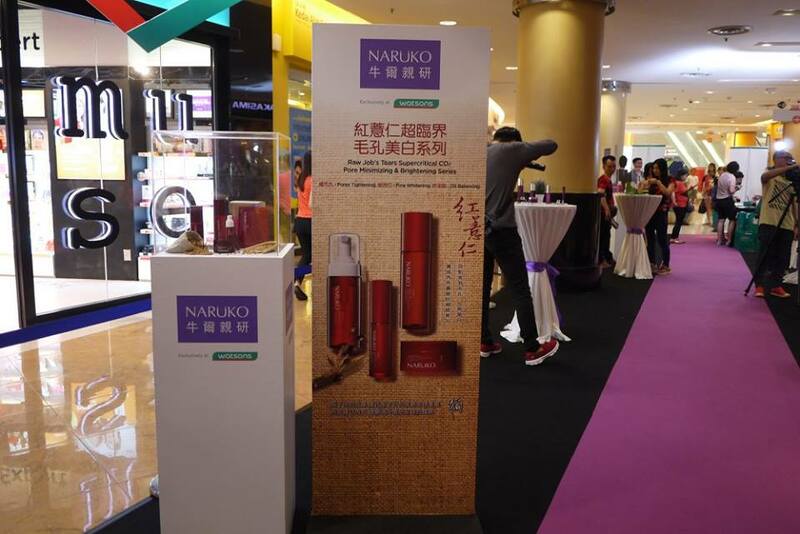 On the Naruko product launching event happened at in front of Watsons Sunway Pyramid store on Saturday noon, NiuEr has picked a very lucky lady to become the model for his series. He also taught us how to make a mask sandwich, that is, apply the Naruko tea tree shine control and blemish clear night gelly then follow with a facial mask. This way, the skin is fully nourishes and gives an instant result after removing the masks. The facial mask could be store back into the package and store in the fridge to use for 2 to 3 times again. Or we could dap the leftover onto our body to save from buying a body lotion. NiuEr also shared us the Naruko Bunga Raya Snow White Ice-cooling mask which is only available exclusively in Watsons Malaysia! Such an honoured to us! As a blogger, I also got the chance to attend the press conference with the other media at Delicious. 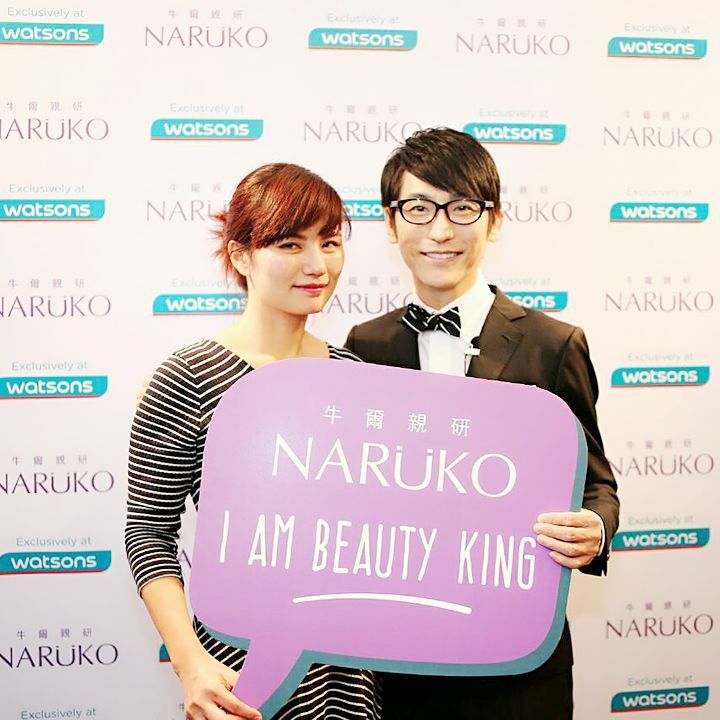 There, he has shared more information about beauty. On the Beauty workshop at Sunway Resorts & Spa on Sunday morning, NiuEr has brought us through the history of Naruko and introduced some new products. 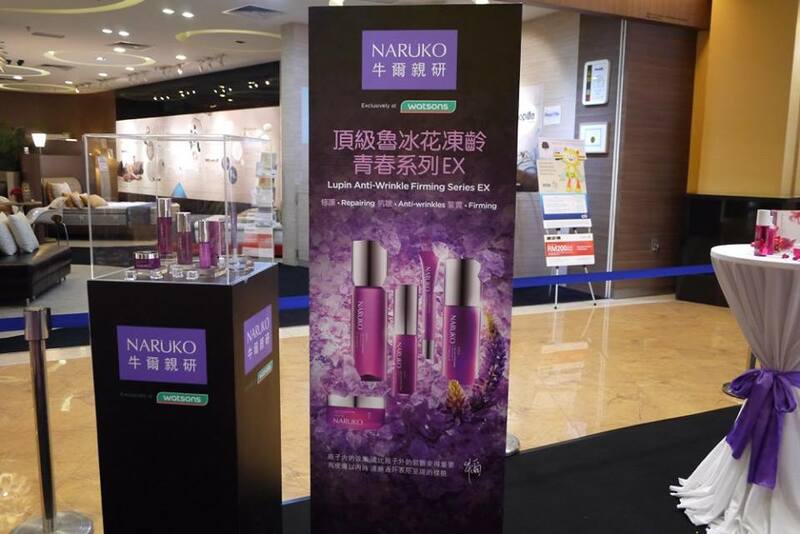 The new series including Raw Job’s tear supercritical CO2 pore minimizing & brightening night gelly and the illuminating bright essential gel cream which will be available on Watsons e-com soon. After the workshop, NiuEr was very patient and had a picture with each and every fans before he left. They say, there are no ugly women in the world, just lazy ones. So let’s start loving ourselves more and take good care of our skin too. 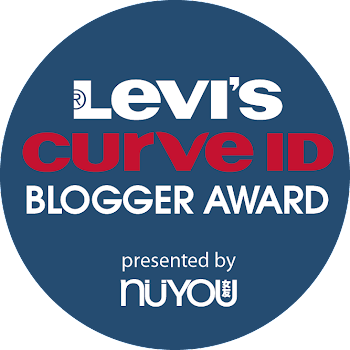 So lucky you get to meet NiuEr Lau Shi!! He has the best skill! The Raw Job’s Tears series of product is really nice! So glad that finally the products series is available in Malaysia! Niu Er looks young with beautiful skin at his age. I want to learn to maintain youthness like him too. Mad props to them for keeping their youth even as their age advances. I really need to learn from these gurus. I actually don't know who niu er is. But he looks cool! Haha. Love this brand. Whoa! so lucky gotta meet the guru. Niur Er Teacher look so young in his look and i love his sharing about the beauty tips. so lucky can meet Niu Er! !I wish i can join next time!! I'm also a fan of Niu Er Teacher. 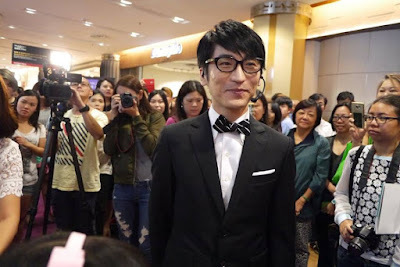 I watch him in Taiwanese beauty show too.. Like the tips that he been given ^^ so sad i can't meet him in real ! Awwww... wish that i was there last week! Niu Er looks so young at his age! Hope he can come to malaysia again to teach us his great tips! Awwww.. wish that i was there last week! Niu Er looks so young at his age! 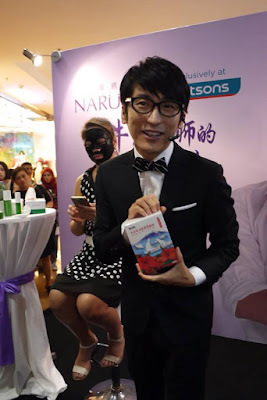 Hope he can come to Malaysia again to teach us his great tips on skin care. Wow awesome encounter with him ! Thanks for sharing your experience !